As the year comes to a close, it’s time to start considering the future. Our homes represent an important space, where we gather with friends and family in love, community and shared experiences. So it’s little wonder that so many of us want to update, modify or change our homes, including our driveways. In this article, we’ll be giving you an overview of the top three driveway trends for 2018 from the experts at A Better Driveway. One thing to consider when updating, customizing or constructing a driveway is to create a point of interest. Exposed aggregate can be an amazing way to achieve this. With its speckled, intricate appearance, exposed aggregate is durable, with a timeless appeal. By adding in these details of colour and texture, your driveway is sure to transform your house into a home in no time. More than just for safety, lighting is the perfect way to add your own, unique flair to your driveway. The right lighting can create a warm, cosy feel after the sun goes down, and creates the perfect entrance to your home. It’s also a great way to add interest without having to spend too much. Just make sure to choose lighting that works well with the design and colour of your driveway materials, and you’ll be de-”light”-ed! When added to your driveway, garden elements can really make a difference. From native ferns, to deep green grasses and flowering vines, incorporating a dash of nature into your driveway design is one of the best ways to create a space that’s both functional and visually beautiful. 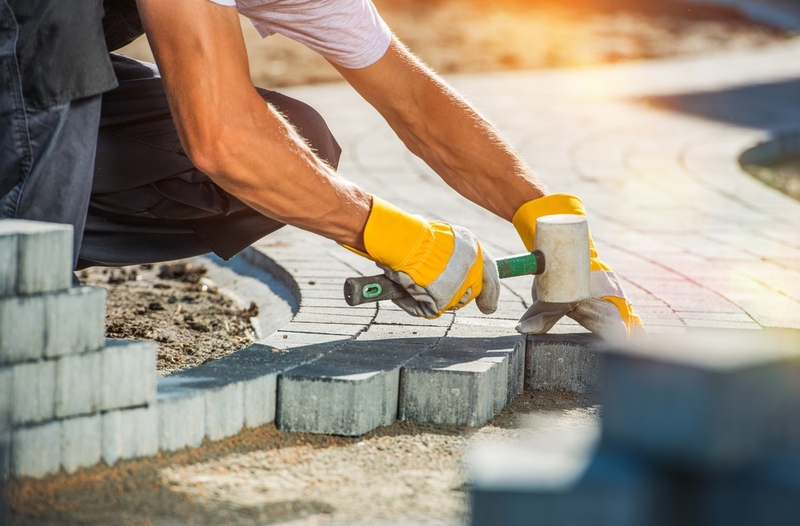 A Better Driveway are your go-to guys for driveway trends and decorative concrete landscaping solutions such as exposed aggregate, coloured and textured concrete driveways. For more information, get in touch today by calling 03 5783 4746.